I am fortunate enough to have an in home private preschool where I teach two classes. I have a Pre-K class, and a 3/4 year old class. I have a wonderful, bright, spacious, and cheery preschool room, and the best part is I never have to leave my own daughters or my home to teach. It is the best of both worlds. I have felt really blessed to have my own preschool the past three years, to have been able to teach my own children, and to have been able to have taught so many children that are dear to my heart who feel like an extension of my own family. 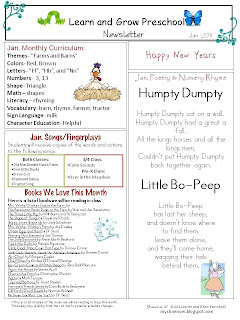 At the beginning of each month I send home a newsletter with my preschoolers that helps bridge the school and home connection. I like to give my preschool families as much information as I can so they know what is going on in class. Our theme of the month. Our curriculum focus for the month (which letter, shape, color, number, sign language sign, etc. we are going to focus on). A list of the book we will be reading and highlighting throughout the month (I usually try to pick out books that either go a long with the theme of the month, holidays celebrated throughout the month, or something we are focusing on that month (for example prepositional words). 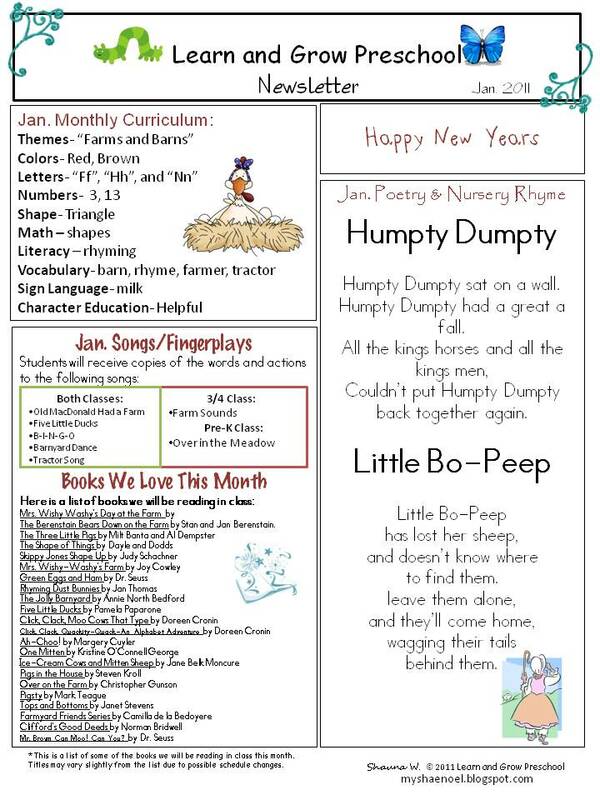 I include at least one or two poems or nursery rhymes we will be highlighting that month. The last thing I include is a few key dates to remember for the month. Of course, my favorite part of the newsletter is the list of books that I include that we will be reading during class time. I absolutely LOVE children's literature and for me I can't have enough children's books in my own personal library. One thing I might start doing is highlighting a few books that we love at home. Those of you who work with children or have children know that you have to be flexible when it comes to your schedule. Sometimes I end up reading all of the books listed on the newsletter, and other times I will notice that my students are interested in a certain subject matter or author so I wander away from my reading list to follow their interests. You will notice that I like to have one or two more themes each month. The kids love it. This month we happen to be focusing on Farms and everything that goes on in a farm. We are learning about what animals are found on a farm, what farmers do on a farm, what kind of of food is harvested on a farm, and what the animals homes look like on a farm. My two classes were fortunate to learn a little about farms when we went on a wonderful field trip this past October. There is nothing like hands on learning. My students favorite thing was probably feeding the goats. For me it is so fun coming up with learning activities to help teach a specific curriculum focus (i.e. triangles, one to one correspondence, etc.) and creating or finding these learning activities to reflect our theme. And then at the end of each month I reflect upon the areas where I feel my students are thriving and where I feel they might need a little extra help and I adjust my plans for the next month. 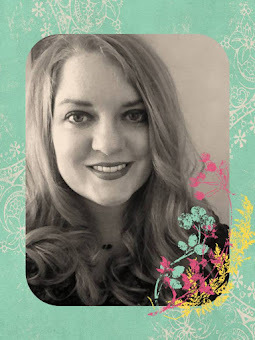 So, I thought that I would start sharing my Newsletters with you to help give you some ideas whether you teach preschool, you homeschool, you are a grandparent that watches your grandchildren, you have a day care, etc. Hopefully I will have a chance to go back to the beginning of this school year and share my past newsletters if you are interested. CLICK HERE to download my January Newsletter. What are you focusing on this month in your learning setting? I would love to hear about it! All items that are shared to download are for personal and classroom use ONLY. No items may be altered or RESOLD in any form. 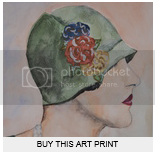 If you would like to share these items on your website, please put a direct link back to this post. we are doing around the world in january.